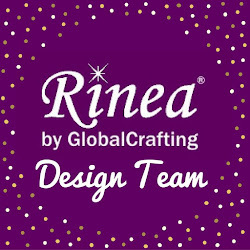 HI everyone Happy New Year with Rinea Foils. Now the holidays are behind us, it doesn't mean the fun should stop. 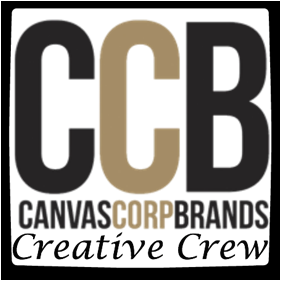 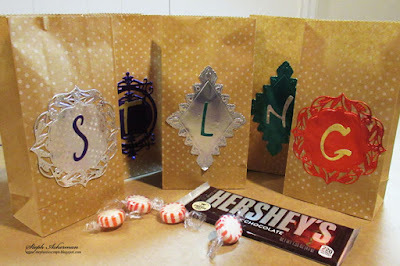 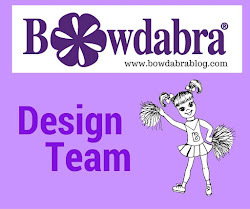 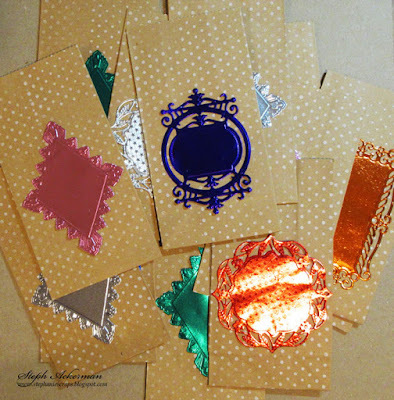 Goodie bags are fun to create and with Rinea Foiled Papers, the options are endless. 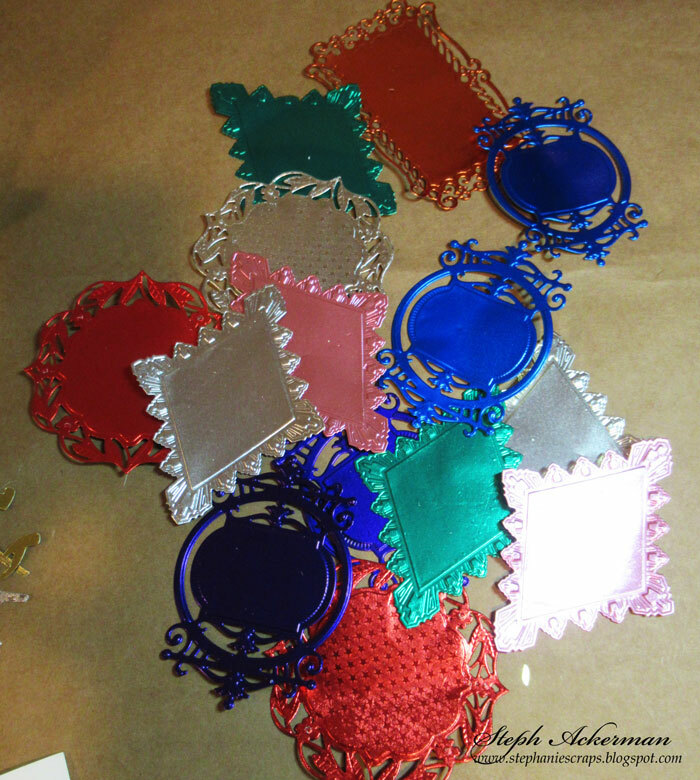 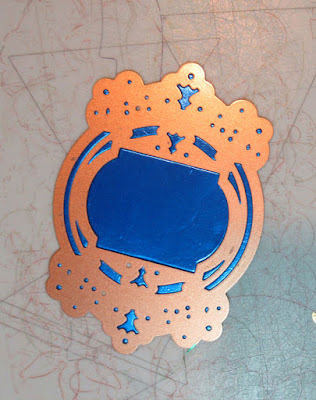 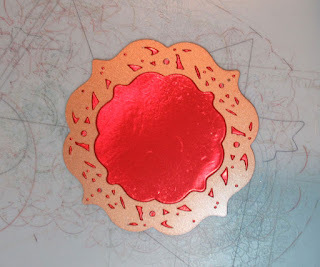 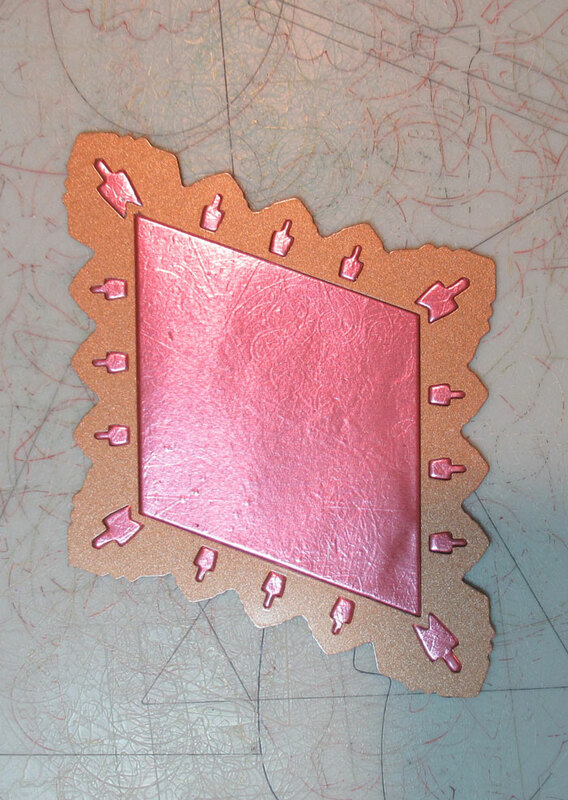 Using Spellbinders dies, I die cut an assortment of shapes from the foiled papers. Once they've been removed for the dies, look at the results and all those beautiful colors of foils - Emerald/Gold, Sapphire/Gold, Blush/Gold, Silver/Gold, Ruby/Gold, Blush/Gold, Silver/Silver Starstruck, Ruby/Ruby Starstruck. I inked kraft bags with white dots, then adhered the die cut elements with Helmar Adhesives. 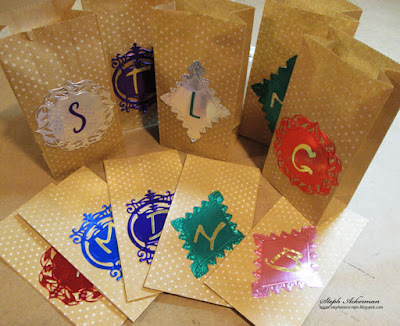 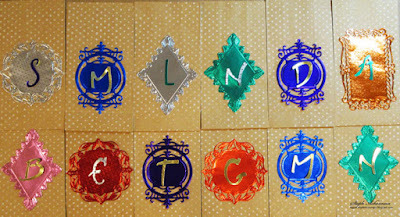 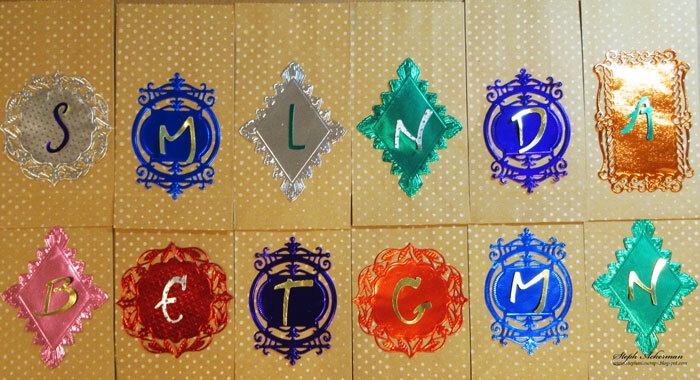 Once the die cuts were adhered to the bags, I die cut initials for each. Now the goodie bags are ready for our New Year's party, and, since they are personalized, everyone will know which one is theirs.